We are a family business offering a client focused service that's designed to exceed your expectations. 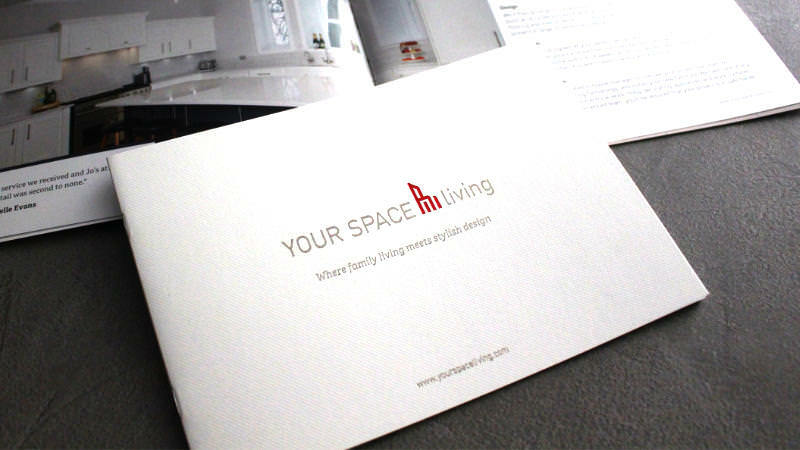 Your Space Living is a boutique kitchen design studio located just outside Cardiff in the Vale of Glamorgan. Established by Jo and Mike Buckerfield in 2012, we help discerning customers transform tired, cramped kitchens into open spaces that meet the needs of modern-day living. Jo and Mike's thoughtful, personal approach to kitchen design has helped build a first class reputation. 95% of all our work comes from client referrals and recommendations. The kitchen industry is dominated by national brands selling low quality products in large numbers with minimal service. We have the antidote to the high pressure and the fast turnaround. We develop design ideas that work for you, before turning those ideas into a fabulous reality. On time and on budget. Our clients want a kitchen without compromise. As a result, our customer focused service looks at every aspect of your lifestyle to come up with the right solution for you and your home. This can include structural building work, decor and soft furnishings. The result is a unique kitchen you can be proud of. A kitchen is so much more than it used to be. It’s now a social space, where the magic of family living happens. Such an important room needs to look fantastic, function perfectly and last for years. That’s where we come in. We offer traditional, classic shaker and contemporary kitchens that will transform your home and the way you live. We believe you should love where you live. Your home should enhance your lifestyle and the design of your kitchen plays a huge part. We understand what makes good design and recognise the importance of commissioning a qualified expert. With Your Space Living, you receive the help and support of a qualified professional who’s focus is on you and your home. Our process is collaborative and it’s designed to inspire you at every stage, from concept to completion. We are Cardiff and the Vale's only Pronorm kitchen retailer. We’ll help you realise the full potential of your kitchen and go beyond off-the-shelf solutions to create beautiful designs that incorporate your ideas and meet the needs of your family. We take pride in our work and aim to create a beautiful kitchen that you’ll love for years to come. Our bespoke and made-to-order furniture is durable and long-lasting, and we work with brands who share our vision for creating striking and inspiring kitchens and living spaces. Kitchen renovations can be daunting and stressful, but we take care of everything from the initial design to the finishing touches, and make the process as enjoyable as possible. As a family business, we understand that family life can be busy so we’ll tailor our schedule to fit around you. We work with a team of experienced, trusted and reputable tradespeople — from architects and builders to plumbers, electricians and fitters, so you can be sure that your home is in safe hands. "Jo’s formal training in design was evident throughout the process, and she impressed us with her technical knowledge, extensive experience and sound advice. The end result was a stunning kitchen that we are extremely pleased with." "The whole process was seamless from start to finish as a result of the attention to detail, excellent planning and advice that we received from Jo and Your Space Living"
"From our first meeting with Jo, she took on board our requirements and we were presented with a very comprehensive design. The preparation, delivery and installation went without a hitch and on schedule. The service we received and Jo’s attention to detail was second to none." "Our new kitchen is a fabulous contemporary design, with some unique features and it certainly has the "Wow!" factor that we really wanted." "We knew we wanted to knock our old kitchen and dining room into one, but were overwhelmed with the scale of the work and the design possibilities. Then we met Jo, who took all the stress out of our kitchen renovation. She came up with the perfect design for our space, and she and her team were a pleasure to have around. With Jo project managing, our kitchen was finished on time and within budget, and we love it!" "The service we received from Your Space Living was truly professional from start to finish. Nothing was ever too much trouble, and the time they spent going through all the different options was appreciated. They’ve created and designed our dream kitchen which looks fabulous and works so well for all the family to enjoy."